When making a presentation, you want to make a good impression on clients. 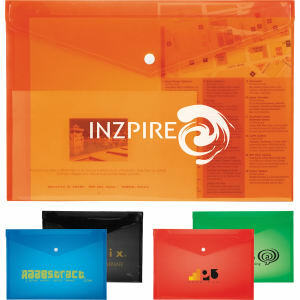 Make your marketing message stand out from the rest with custom printed promotional folders. 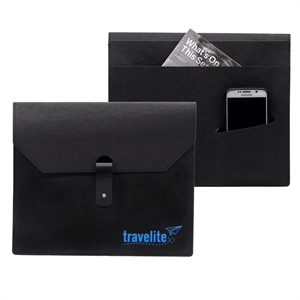 Customizing promotional folders can help give colleagues a unified, professional appearance. 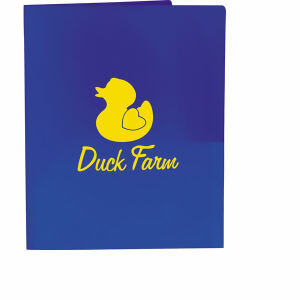 When you give a proposal or briefing in custom logo folders, you will remind people of your brand. Regardless of what your logo imprinted folders contain, you can be sure that your custom promotional folders will show your documents, and brand, in a professional way. 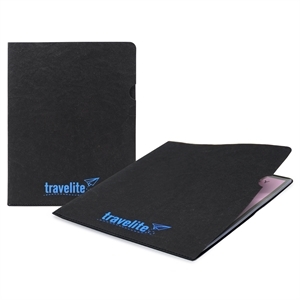 Our diverse selection of attractive and useful custom promotional folders for any business can easily be imprinted with your corporate logo, company name and contact information. Customized promotional folders are a classic marketing tool, and with a personalized logo design they are billboards that your clients and employees carry around all day!